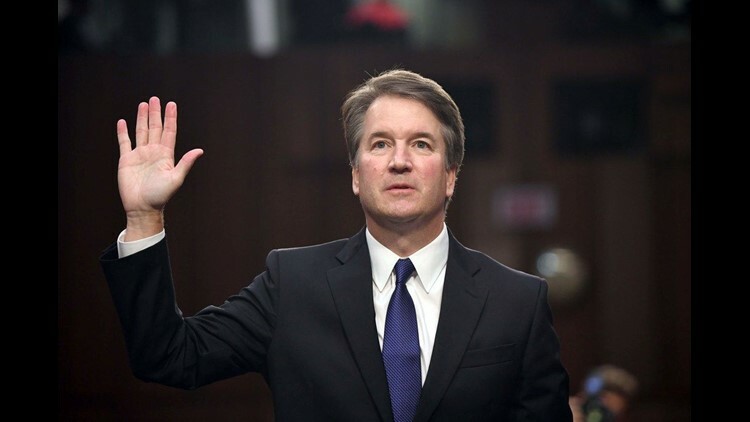 Supreme Court nominee Brett Kavanaugh is sworn in for his confirmation hearings, Sept. 4, 2018, Washington, D.C. The paper said Ford is a professor at Palo Alto University who teaches in a consortium with Stanford University, training graduate students in clinical psychology. Her work has been widely published in academic journals. According to Ford, the attack occurred one summer during the early 1980s when she and Kavanaugh attended a gathering with other teenagers at a house in Montgomery County, Md. Ford contends that Kavanaugh and a friend, both of whom she described as “stumbling drunk,” corralled her into a bedroom. Ford described the attack in a confidential letter to Sen. Dianne Feinstein of California, the top Democrat on the Senate Judiciary Committee. Feinstein said she honored Ford’s request for confidentiality but referred the matter to FBI. The bureau added it to Kavanaugh's background investigation file but is not pursuing a criminal investigation. The committee is expected to vote on Kavanaugh’s nomination on Thursday.